Consistently calling coyotes to the gun requires thinking about what the animals want and why. The secret is that there’s really no secret. Oh, lots of predator hunters wish it were so. They want there to be a single key, a mystic answer, a largely unknown, otherworldly, hush-hush tactic that regularly brings more coyotes to the gun. So they ask. Over and over and over. Like seekers after knowledge from the old man on the mountain, they approach Les Johnson, world champion predator caller and owner of Predator Quest, looking for his one ultimate solution. He sends them away perhaps disappointed. “It’s just not thataway,” Johnson said. To consistently kill more coyotes, Johnson said, requires woodsmanship, intuition and a willingness to do things outside the norm. That starts with spending lots of time in the woods chasing the canines and listening to what they’re saying. “Every animal I go after, I want to learn something about it. I feel like the more you know about the animals you pursue, the better you become at chasing them and acquiring them,” he said. Like a whitetail hunter, for example, he patterns coyotes. The idea is to figure out where they’re eating and where they’re bedding. Those places are often close together. Coyotes, similar to a person celebrating Thanksgiving, like to lie down shortly after eating, Johnson said. So he hunts for areas of cover near food sources. What those look like exactly varies by region. In the West, he said, he kills a lot of coyotes in seemingly wide-open places. There are two reasons for that, he said. One is that, because they seem so wide open, most other hunters bypass them. The other is that coyotes chasing a rabbit have a much better chance of catching it there, in the open, as opposed to where it can dodge and weave through brush. In the East, though, he focuses on “the thick stuff,” meaning spruce thickets, marshes, swamps and similar country. That’s what coyotes there have adapted to. “Anywhere they’re going to get something to eat, I’m going to get right in there with them. So I wouldn’t be trying to call them across open fields if I could help it,” Johnson said. Once he’s got coyotes patterned, Johnson calls them in, often with great success. On his personal best day, hunting alone, he killed 16 coyotes. A rabbit distress call is his go-to sound. That said, he doesn’t get hung up on trying to sound like a cottontail versus a jackrabbit, for example, based on where on the continent he is. Coyotes are the wily; a long-time trapper, he believes they’re “hands down” the smartest furbearer out there. But they have to find food as they can. So if something sounds like dinner, they don’t go through a mental checklist — making sure the noise is coming from a species native to their area — before investigating it. “A coyote is relying on his instinct when he comes to check something out that sounds like it’s lost. That sounds like it’s in distress, that sounds like it’s trying to find its friends. Coyotes key on that,” he said. All predators do, he noted. In Alaska, he heard that bears were preying heavily on moose calves. So he sat down one day and tried to attract a bear by sounding like a moose calf in distress. Now, Johnson has called in bobcats, mountain lions, elk – even adult moose — and other animals. But he’d never heard a moose calf in distress. So he just imagined what one might sound like and did that. It worked, as he suspected it might. That kind of risk taking can pay off when chasing coyotes, too, he said. “You think the first time I sat down and started doing something like that, with somebody else around me, that I didn’t feel like an idiot? But you’ve sometimes got to do things out of the norm,” he said. For example, Johnson said a friend who hunts coyotes in Wyoming often sets up along a barbed wire fence and jerks on it while calling. The twang of the fence, which reverberates a long way down the line, mimics a struggling antelope caught in the wire. Coyotes often come running, Johnson said. Doing something similar in the East, but sounding like a whitetail, could work, he said. Calling near roads, where so many whitetails get hit by vehicles, might produce, too. Even a call that sounds like a house cat works in areas where there are lots of roaming pets, he added. “Coyotes are opportunistic. They come to investigate sounds,” Johnson said. He uses other calls besides distress sounds on coyotes, of course. Howls can be lethal at times, as can the ki-yi. He often goes to that latter sound if 15 minutes of distress caling doesn’t produce. He’ll put his distress call aside, wait five to 10 minutes, then ki-yi. Many times that convinces a wary coyote to come in, believing that there’s already another in the area, he said. “That’s the key to breaking them loose,” he said. Of course, hunters who pay attention can learn a lot about coyotes – and what sounds they like and don’t – by watching them, Johnson said. That’s especially true when hunting with a shotgun. 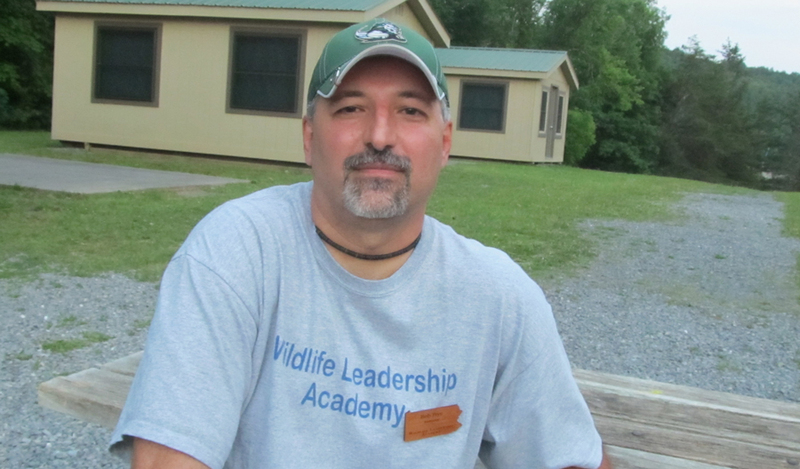 Shotgunning – which requires calling animals much closer – made him a better caller and more patient hunter. “Learn to watch that animal when you’re calling him in. Watch him turn his head, watch to see what his ears are doing, what to see what his eyes are doing, watch to see what his body language is telling you,” Johnson said. Beyond that, though, there are no secrets, no absolutes. Successfully calling coyotes, time after time, means figuring out where they are and why, then giving them what they want – what they’re telling you they want – even if it seems odd, he said. “If things aren’t going the way you want them to when you’re calling coyotes, change up the plan. Try something you would never try,” Johnson said. 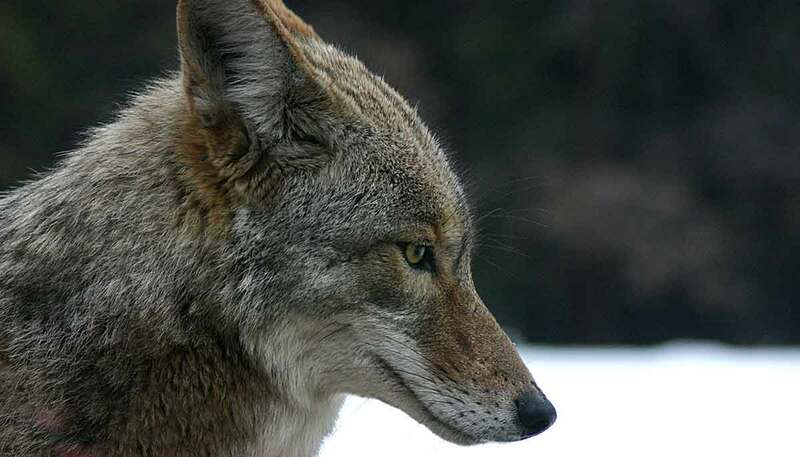 Relatively rare in places like the East a few decades ago, coyotes are now firmly established from Canada into the New England states and down into the deep South. Their ranges stretches from the Atlantic Coast to the West, too. Here’s a little about these creatures.Eastern coyotes are larger – sometimes by a factor of 50 to 100 percent – than their Western cousins. Adult males can reach weights of 55 pounds, and stretch 60 inches from the tip of their nose to the tip of their tail. Scientists theorize that’s because coyotes from the West bred with gray wolves from the North to create what is called the Eastern coyote. Coyotes can be many colors. Pelts can range from light blond to reddish to gray to dark brown to black. They often have black markings or lines down their front legs and reddish areas on their cheeks and behind their ears. A coyote’s eyes are normally yellow, but can sometimes be brown. In California recently, observers have noticed a few blue-eyed coyotes. Monogamous, coyotes will pair up and stay together several years. Their offspring will usually stay with them for a year, though that can stretch longer in cases. Coyote pups are born between mid-April and early May. Litters generally average five to seven young. Females den in piles of tree stumps, under fallen logs, in rock dens and dug-out fox dens. Coyotes are primarily nocturnal, but will hunt during daylight hours, too, especially early morning. Their senses of smell and hearing are especially keen. When it comes to food, coyotes are generalists. They eat all sorts of mammals, from whitetail fawns and rabbits to field mice and groundhogs. They eat plant material year-round, though, with an emphasis on fruits in late summer and fall.